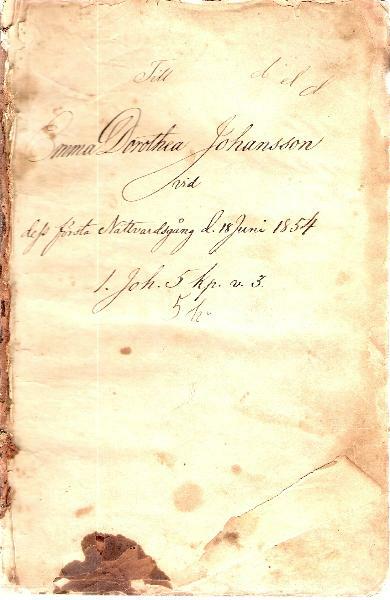 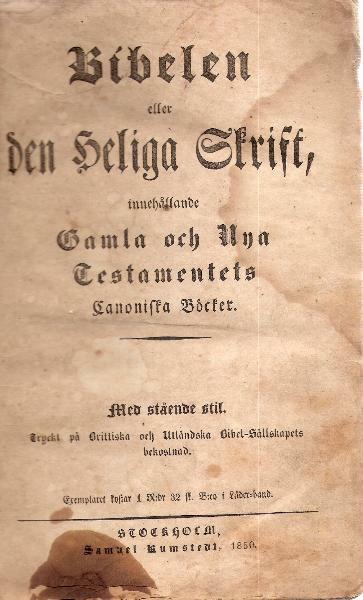 Family Bible in Swedish; Stockholm, Samuel Kumstedt, 1850. 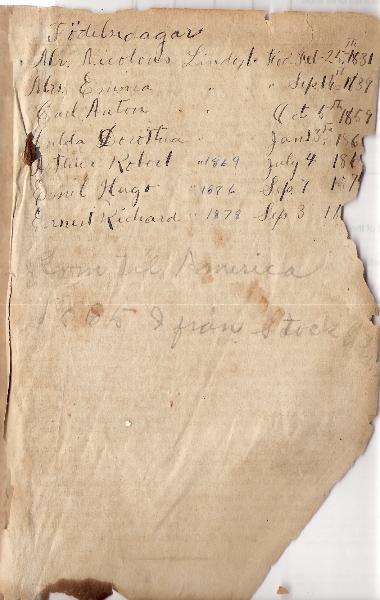 The Bible is now in the possession of the C. G. Brisee Genealogy Library, Irwin, Iowa. 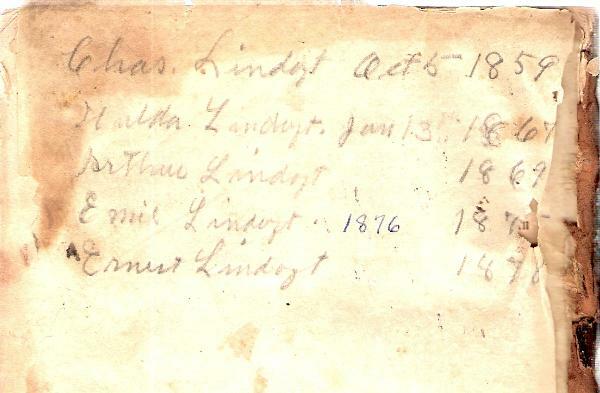 are for a family named Lindzt.